Working closely with the optoelectronic materials company SRICO, engineers from Duke University have built a prototype detector that beats the existing competition in size, weight, power, speed and, most importantly, cost. The new technology relies on metamaterials—engineered structures made of carefully designed repeating cells that can interact with electromagnetic waves in unnatural ways. By combining seemingly simple patterns of metal with extremely thin slices of perfect crystals, the engineers created a streamlined device able to detect invisible infrared signatures emitted by various kinds of gasses, plastics and other sources. The results appeared on February 20, 2017, in the journal Optica. In a typical thermal detector, infrared light waves are absorbed and converted into heat by a black substance, essentially soot. That heat is conducted to a separate component that creates an electrical signal that is then read out. This setup creates speed limitations, and only by overlaying filters or a complex system of moving mirrors, can specific wavelengths be singled out. 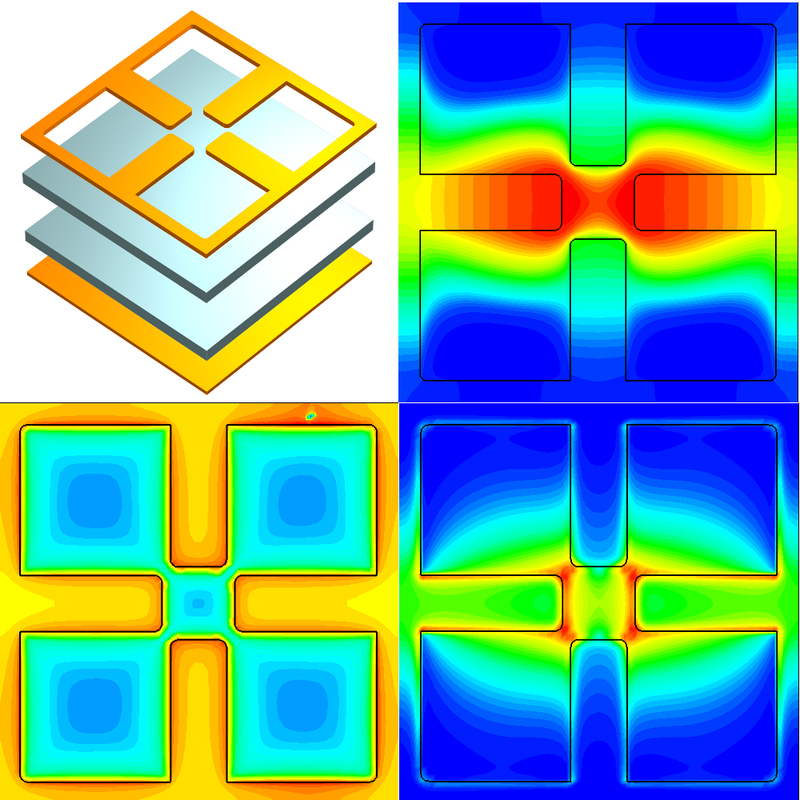 The new metamaterial sensor skirts both of these issues. Each tiny section of the detector consists of a pattern of gold sitting on top of lithium niobate crystal. This crystal is pyroelectric, meaning that when it gets hot, it creates an electrical charge. Like shaving a piece of cheese off a block, engineers at SRICO use an ion beam to peel a slice of crystal just 600 nanometers thick. This technique eliminates potential defects in the crystalline structure, which reduces background noise. It also creates a thinner slice than other approaches, allowing the crystal to heat up more quickly. Ordinarily, this crystal is so thin that light would simply travel through without being absorbed. However, researchers tailor the top layer of gold into a pattern that combines with the properties of the crystal to cause the pixel to absorb only a specific range of electromagnetic frequencies, removing the need for separate filters. When the crystal heats up and generates an electric charge, the gold then does double duty by carrying the signal to the detector’s amplifier, eliminating the need for separate electrical leads. The researchers can fabricate the device to detect any specific range of electromagnetic frequencies simply by redesigning the details of the gold pattern. Stenger and his colleagues at SRICO have already created a single-pixel prototype as a proof of concept. They are currently working to find funding from industry investors or possibly a follow-on government grant. The researchers are optimistic as their device has many advantages over existing technologies. 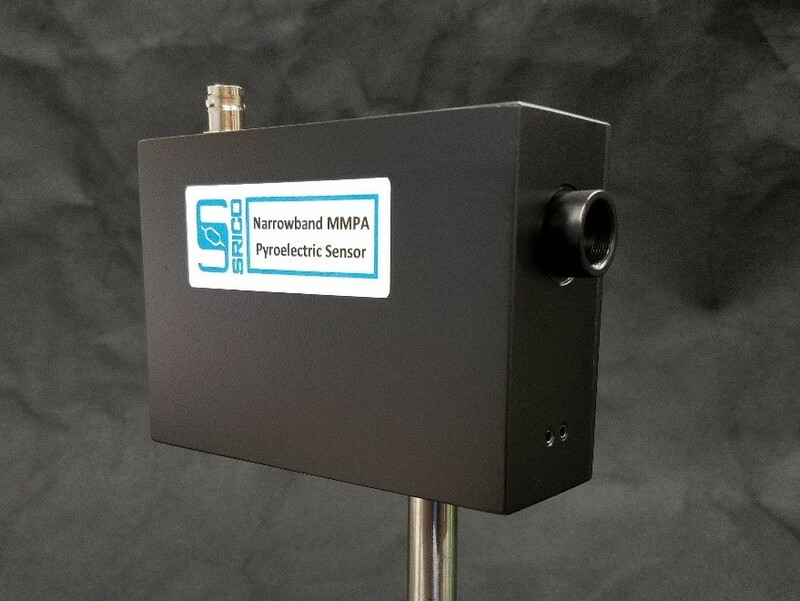 Its fast detection time would allow it to quickly scan over an area while looking for methane or natural gas leaks. The simplicity of its design makes it lightweight enough to carry into fields to assess the health of agricultural crops. This research was supported by the U.S. Army Research Laboratory (W311SR-14-C-0006).